Stylish enough for the in-crowd, yet casual enough for the unassuming. With an atmosphere of relaxed refinement, a classic menu and an incredible view of the Falls, Morton’s Grille offers a causal place to enjoy fresh seafood, succulent steaks, burgers, salads and more. The bar at Morton’s Grille features a unique collection of hand-crafted cocktails and an impressive selection of wines including regional and imported red and white wines to suit any occasion. 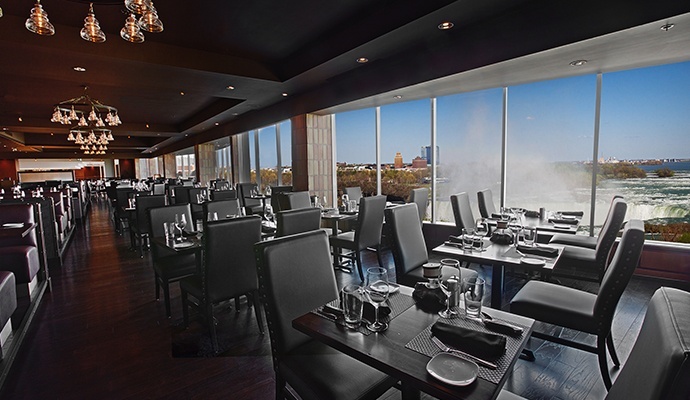 Canada's first Morton's Grille now open at the Marriott Niagara Falls Fallsview Hotel & Spa. Savory Cuisine Combined with a Breathtaking View – the Perfect Ingredients for a Memorable Experience.